Lutheran Mission Association is a 501(c)3 non-profit organization. Email us at webservant@lmamnn.org. Contents of this website are (c)2010-2012 Lutheran Mission Association or are used by permission as noted. 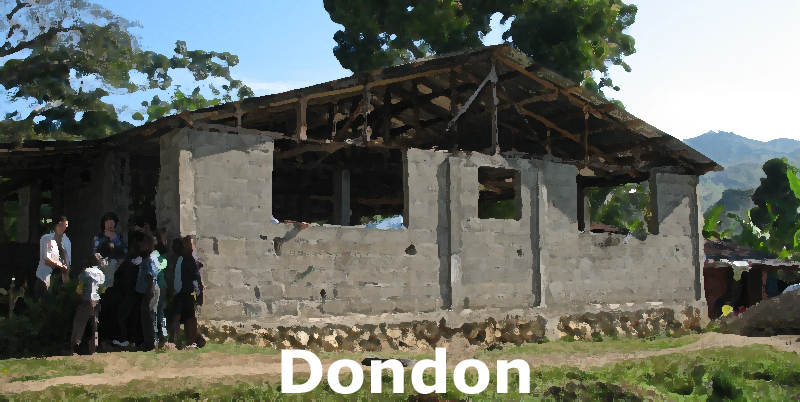 Dondon is located about 20 miles south of Cap-Haitien, and is home to one of the larger congregations in the North District. 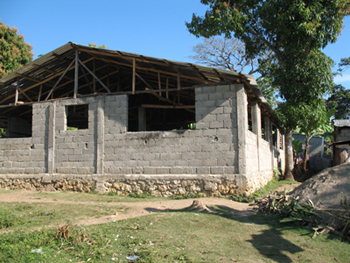 The congregation operates a school (which has been accredited by the government). Located on the outskirts of town, the property is owned by the congregation -- thanks to donations from various groups and individuals. Although there is no well on the property, water is not far away. The building is under construction. Currently, it is a one-story building with a metal floor. Some of the blocks that were used in construction have been compromised by the weather and have started to crumble. Repairs are needed, as well as plastering, in order to strengthen the structure. When funding is available, the intention is to add a second story and a better roof and to install room dividers for the classrooms. During school days, the building is divided up for classroom use. LMA has also sent money to Dondon to fill a request to build a toilet structure on the property. This congregation is being served by Pastor Luc Belizaire. The pastor is married and has one child. 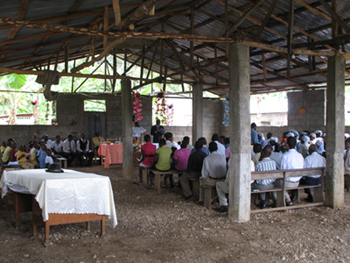 "The members of Dondon Church are expressing their happiness as they are using their new building. They are so thankful to the LMA and to each donor for their support and their great concern. They continue to keep you all in their fervent prayers so that the Lord continue to water you with His everlasting blessings." - Pastor Eliona Bernard, North District President. What can you do to help Dondon? Send us an email (webservant@lmamnn.org) with ideas or to ask about ways that you can help this congregation and school.